The GP Thunder Halogen Bulbs for Scion FR-S/Subaru BRZ is the best light upgrade without buying expensive HID kits. 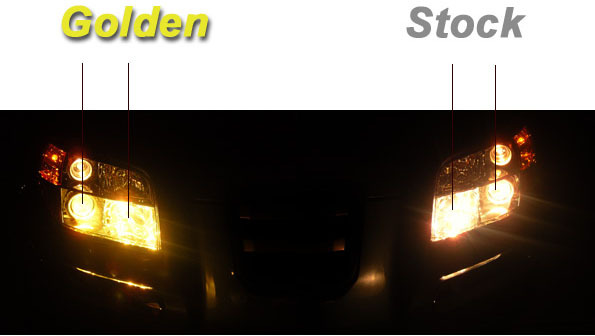 Upgrade the lighting on your Scion FR-S or Subaru BRZ with a brighter light output without the need to buy an expensive Xenon HID kit with the GP Thunder Halogen Bulbs. These bulbs are a fraction of the cost of other bulb manufacturers and use the highest quality fused quartz glass that are designed to last for an extended amount of time. The GP Thunder Halogen Bulbs for FR-S/BRZ use Xenon and Krypton gases which results in a brighter light output than the factory light bulbs. You will be increasing night time driving safety with the brighter light output since you will be able to spot road hazards and obstacles from further away, allowing you longer time to react and avoid them. 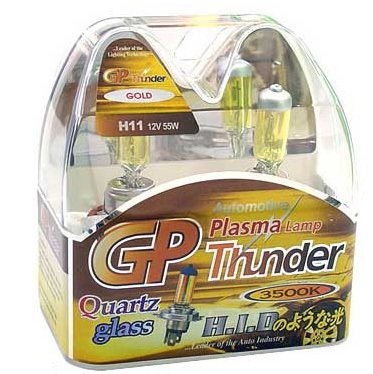 For extra styling, the GP Thunder Bulbs are available in 3500K (golden yellow), 7500K (crystal white), and 8500K (crystal blue) color temperatures. Please do not touch the bulb glass surface when handling the bulbs. The oils from your skin can cause damages to the bulb.